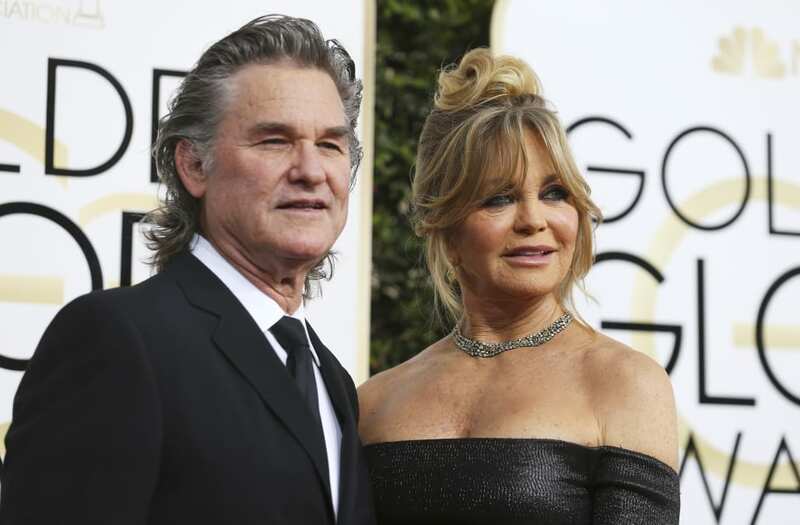 Goldie Hawn and Kurt Russell sold their longtime home in Pacific Palisades for $6.9 million after listing it last year at $7.25 million. Hawn, who returns to the silver screen for the first time in 15 years with Amy Schumer in the comedy "Snatched," and Russell, who co-stars in the spring action-thriller "The Fate of the Furious," purchased the property in 2004 for a bit less than $4.12 million. The East Coast-style residence sits behind a high hedge on nearly half an acre in the forbiddingly expensive Riviera neighborhood. There are five bedrooms and five bathrooms in just under 6,400 square feet. A roomy living room with a bank of bookshelves and a checkerboard-patterned kitchen and breakfast room open through French doors to a lush and private backyard with tree-shaded terraces, a swimming pool, and a separate meditation pavilion. Listing details show that there are two guest bedrooms on the upper level, one lined with floor-to-ceiling mirrors and outfitted as a gym/Pilates studio, and two more guest bedrooms on the main floor, plus a private master suite replete with a fireplace, his-and-her closets, and a chandelier-lit bathroom with a garden tub, a steam shower, and a dry sauna. It would appear the long-paired but unmarried couple plan to move just a couple of blocks away to a slightly more-than-half-acre, bluff-top, custom-built, elevator- equipped residence they purchased in early 2011 for $5.7 million. The long-paired but unmarried couple, who previously owned the house across the street before they sold it in 2004 for $12 million to Adam Sandler, additionally own: a 5,700-plus-square-foot home in a gated golf enclave in Palm Desert, CA, that they acquired in 2003 for $3.615 million, a multi-residence ranch property just outside of Snowmass, Colo., a vineyard in the Santa Ynez Valley north of Santa Barbara, and a 3,500-ish-square-foot penthouse in a Midtown Manhattan high-rise they've owned since 1997 when they bought it for $3.85 million.